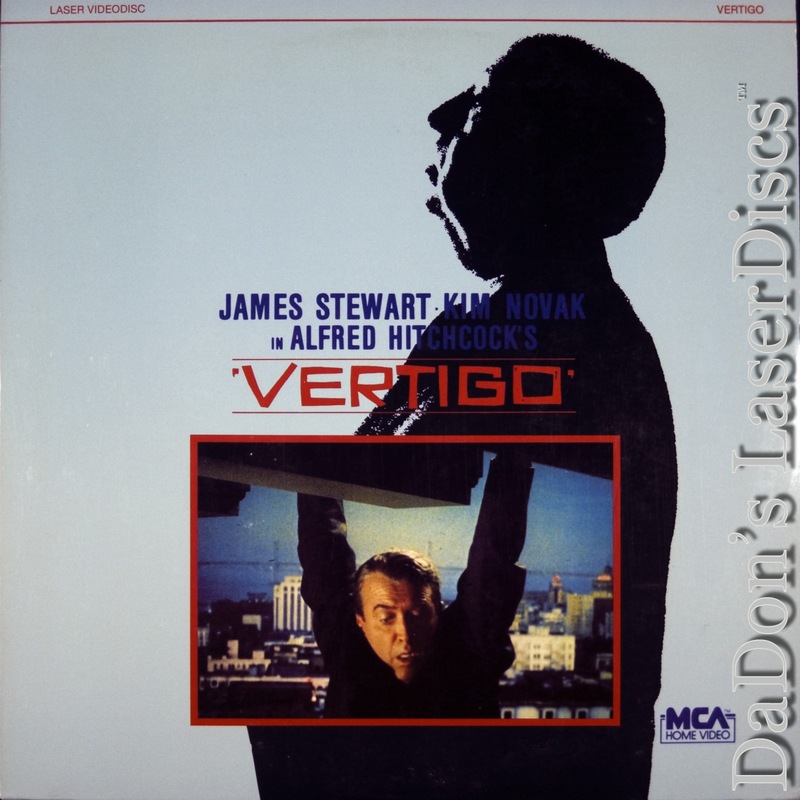 Vertigo 1958 - 128 min. - Color Genre: Thriller Rated PG Country: USA LaserDisc Movie Storyline: VERTIGO is Alfred Hitchcock's haunting tale of deception, madness, and death--a masterful exploration of fantasy and anxiety. The film ranks with REAR WINDOW as one of the director's most closely studied films for its psychological complexity, while the obsession of its protagonist--John "Scottie" Ferguson (James Stewart)--can also be seen to parallel that of Hitchcock's own fascination with the icy-blonde leading lady he re-created at the center of so many of his films. Ferguson is a retired detective, his career ended by the onset of a paralyzing fear of heights. An old friend, the wealthy Gavin Elster (Tom Helmore), hires Ferguson to follow his wife (Kim Novak), whom, he explains, has grown obsessed with an ancestor of hers. The assignment, however, draws Ferguson out of his comfortable role as observer and into a complex web of intrigue, mingled with the detective's own fantasies and fears. Stewart gives an exceptional performance as the disintegrating detective, while Novak, who was left largely undirected by Hitchcock, conveys a subtle and powerful psychological journey. Another star of the film is its San Francisco setting. 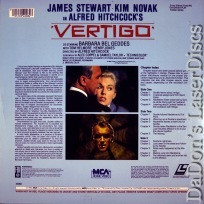 VERTIGO is considered one of Hitchcock's most complex, finest films.